What Uses The Most Electricity In Your Home? Around most households, the hum and buzz of appliances running is a familiar sound. They aid in our everyday tasks but their use comes at a cost as the frequency and duration of their operation demands electricity. Depending on the appliance, the amount of energy required may be much greater and would drive up the cost of its use. Though we may not always see them, these machines and devices are located all throughout homes and come in a number of shapes and sizes. And while a number of household appliances consume a considerable amount of energy, there are several notable ones that consume more than the rest. To help you understand which are costing you the most, the following are the appliances that consume the most electricity in the house. With the temperature frequently waning in a downward direction for many, the use of the heat in homes is necessary to regulate the internal climate. In comparison to the cooling that homes can do, the use of heat within spaces actually comes at a cost that is several times higher. In order to save on this expense however, there are several things that can be done to minimize the cost of warming up your home. Instead of relying on adjusting the thermostat when the temperature drops, consider doing your chores instead. The use of laundry machines and the oven actually generate a considerable amount of heat that will warm up your spaces without costing you the same amount. Even better, you’ll be able to kill two birds with one stone and knock out some of the things you need to do. You can also consider opening up your curtains, drapes, or blinds in the day to allow the sunlight to shine into your home and heat it, then at night close them up to prevent that heat from escaping. The other method for controlling the temperature within our homes is using the air conditioner to cool things off. For areas that experience more distinct seasons, its use rapidly increases during the warmer months, but it can be activated at any time. The best way to go about reducing the energy it consumes is to rely on other methods for bringing down the temperature in spaces. Two of the easiest ways to do this that require little to no energy are opening windows or using fans. A device that could help you in both your cooling and heating efforts is a programmable thermostat, which can be preset to warm and chill the house as desired. Use this to your advantage by having temperatures fluctuate to energy-saving levels while you sleep or are away from the house. This can reduce the electricity that the device consumes and save you money simultaneously. Just behind the expense caused by manipulating the temperature of your spaces is the one that stems from controlling the warmth of your water. In charge of that job is the hot water heater, a device that comes in tank and tankless makes and various sizes. Tankless heaters require less energy of the two, as a coil system within the appliance heats up water. For tank-based systems, water must be warmed and housed for use. Being used for everything from showers to washing clothes, water heaters are relied upon daily and use a fair bit of electricity in the process. To cut into the electricity used, check the temperature of your water heater. Often they are preset to 140 degrees Fahrenheit when in reality they could be dropped twenty degrees to a level that is just as effective and that does not consume as much energy. Also, relying on low-flow showerheads and sink faucet aerators to restrict your water use can further minimize the work your heater has to do and reduce its electricity consumption. 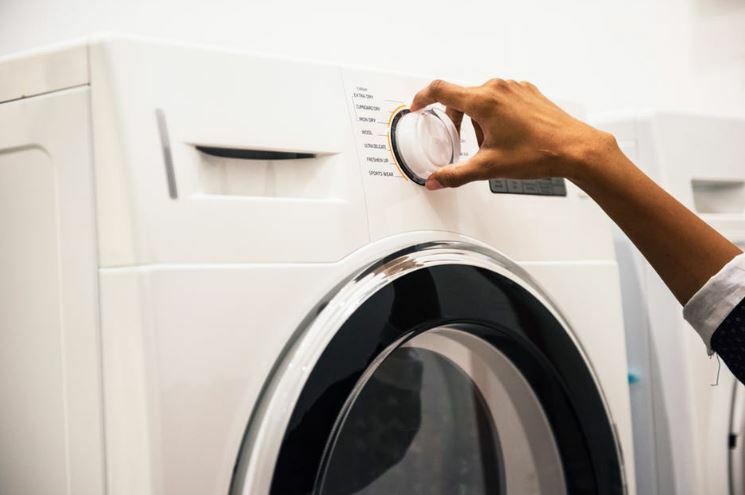 As an appliance that can be used several times a week within households, the heat and electricity required by laundry machines makes them one of the main contributors to energy use within homes. Because two separate machines are used in the process, there are a few ways to reduce the electricity needed when cleaning clothes. When using the washer, rely on the cold water function instead of the warm water to reduce the workload of your heater. The process of drying requires more energy and can be made more efficient by removing the machine’s lint trap and cleaning it before putting your clothes in. Be sure you are not overfilling either of the machines during this time as it will prevent them from thoroughly cleaning their contents and may require multiple uses. For drying, hanging clothes out on a line is another means of reducing electricity use. The most obvious electricity use culprits within our homes are the bulbs and fixtures that actually convert it to light. And for many individuals, the habits that are deep seeded only work to exacerbate their usage as leaving lights on or utilizing an excessive amount at a given time contribute to greater electricity use. Luckily, there are many ways to save when it comes to lights. One of the most impactful adjustments that could be made to save electricity is making the switch to energy efficient bulbs. This simple change will greatly cut back on the electricity used in the process of illuminating your home. Of the bulbs available on the market, LEDs are the most efficient form of these lights and they can last more than 20 times as long as traditional incandescent lights while converting the majority of the energy they are supplied with to light. In comparison, only about 20% of the energy incandescents are supplied with is released as light. In order to keep your food and other perishable items intact, the refrigerator is responsible for running on electricity all day, everyday. In doing so, the fridge is consuming a significant amount of energy. In the event your home has multiple refrigerators or a fridge that has been with the family for a number of years, that consumption only increases. To remedy this, consider investing in a new refrigerator as over time they have been made more efficient to ensure they consume less energy in the process of constantly cooling. While on your appliance search, keep any eye out for an Energy Star certification. Energy Star is a voluntary program of the Environmental Protection Agency and it certifies devices that save people money while protecting the environment as well. If you are not interested in a new refrigerator, you’ll only need to set the internal temperature between 36 and 38 degrees Fahrenheit and it will still be able to operate optimally while saving on electricity. When it comes time to cook, it is the oven that requires the most amount of energy to prepare our food. In addition to heating dishes hundreds of degrees, some ovens have advanced features like self-cleaning capabilities that help to make the process of preparing a meal easier. In order to do so however, electricity is required. On top of that, the heat produced by the electric oven spreads throughout the house and may prompt those within it to try and reduce the effects by using the air conditioner. To save electricity, consider making the switch from using the oven to using the microwave or toaster oven when possible. Not only do they use less energy but they also don’t emit the same kind of heat that ovens do. And as an added bonus, relying on alternative methods of preparation will allow your meal to be cooked faster. Following the conclusion of a meal, the process of cleaning up usually includes loading up the dishwasher and allowing the machine to thoroughly rinse and dry our plates and utensils. In order to allow for a proper wash, the appliance is supplied with warm water and proceeds to consume electricity until it is finished tidying up the dishware. The process for reducing the electricity used by this appliance is not as savvy as is the case with other appliances, but it will cut the energy that is consumed. For lighter loads of dishes, try handwashing instead of resorting to using the machine. If you are set on using your washer, maximize your cleanings by only doing loads once the washer is full. 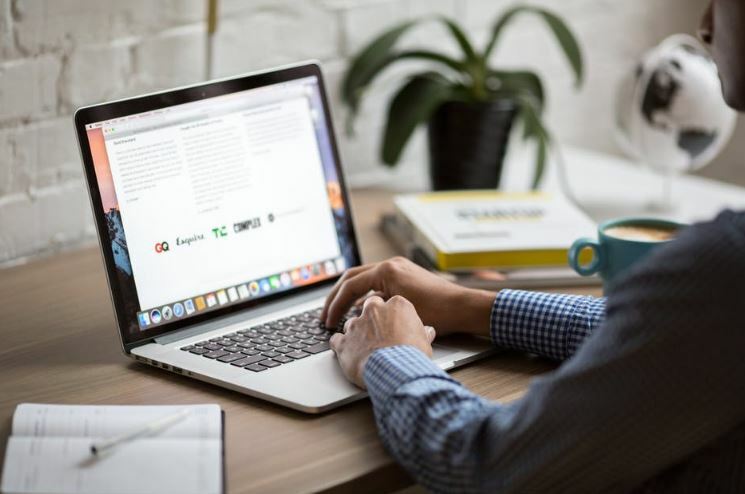 The vast majority of homeowners don’t go a day without using their computer at least once and though it does not contribute a significant amount to overall electricity use, it still adds to the consumption done within homes. The amount of electricity used by computers can be reduced in a few easy ways. If you are currently in the market for a desktop computer, consider purchasing a laptop instead. Laptops require less energy to be operated and have the added bonus of being portable. Over time computers have become much more efficient as automatic sleep settings that kick in after long periods of inactivity help to diminish the electricity that is wasted as they sit around idling. And though sleep mode consumes almost as little power as a computer does when turned off these days, in the event you are not planning on using your computer for a significant period, it is still best to shut it down. Though the frequency of their use has been disrupted slightly with the rise of computer-based streaming services, televisions are still used widely. And for many individuals, leaving the television on is done to watch programs in addition to create background noise to fill rooms. 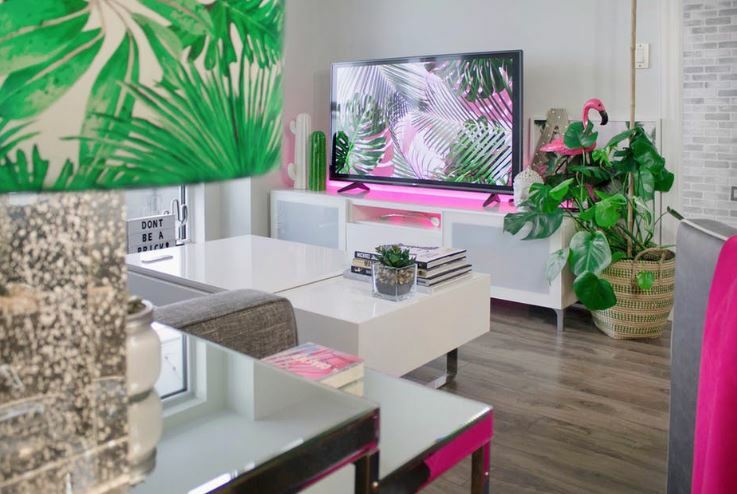 Though many of us think of their electricity use as being limited to the instances when they are on, televisions are also consuming energy when they are turned off too. This stems from vampire energy that causes tv sets to use electricity in order to remain in standby mode for a quick power up. To reduce this electricity use, consider using power strips which will allow for a concise power down when unplugged. These can also be used to house cable boxes, speakers, or any other television accessories that will no longer be in use once the tv has been turned off. Now that you know what uses the most electricity in your home, what will you do to reduce it?